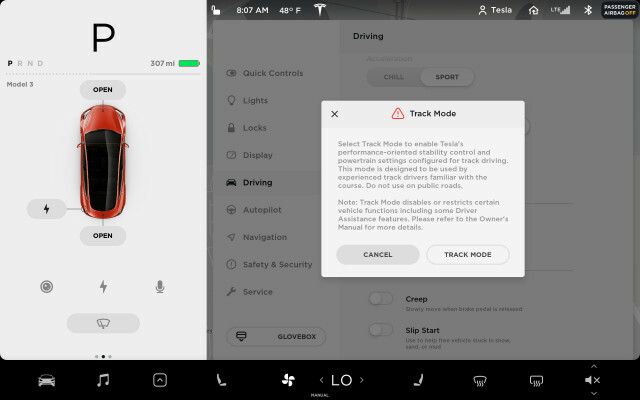 Tesla confirmed last Thursday that Track Mode has started rolling out for the Model 3 Performance, in an update for vehicles that have already received Version 9 of the automaker’s vehicle software. The company emphasized that Track Mode is intended specifically for closed circuits. It’s primarily a series of updates to the vehicle dynamics controller—to allow more ‘steering’ of the vehicle using the front and rear motors. It also includes stronger cooling for the vehicle’s power systems and higher regenerative braking levels. 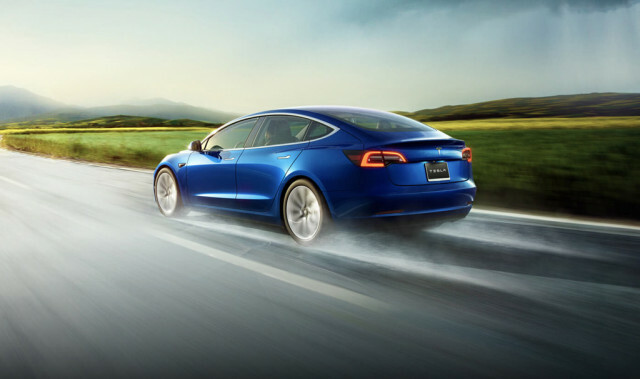 While stability control systems in vehicles with mechanical drive systems typically resort to pulsing the brakes at specific wheels and reducing overall power to accomplish this, the Tesla Model 3 (or other performance-tuned, all-wheel drive electric cars like the Jaguar I-Pace) can also adjust the cornering rate in curves by changing the motor torque at specific wheels. DON'T MISS: Lower-cost Tesla Model 3: Does 260 miles, $46K before incentives split the difference? In Track Mode, Tesla allows motor torque to be generated solely at the back wheels when needed—or by the front wheels to aid stability. Track mode also allows increased regenerative braking. This has a similar effect on the cornering rate, and it helps save the friction brakes for when they’re truly needed. Tesla hasn’t said when Track Mode will be available in other models, but it sets the stage for future refinements: “We’ll continue to improve and enhance Track Mode over time with future over-the-air updates,” the company said. Knowing Tesla, there are likely some yet-to-be-found Easter eggs in this new feature set as well.